Of all the saints in the Christian calendar, Catherine is one of those that I would most like to meet. Passionately committed to the life of prayer, Catherine demonstrated huge commitment also to the world of real politik. In an age when women would have been be expected to be submissive, Catherine was anything but, being ready to lecture popes – especially those called Gregory –and write letters of ferocious directness to the powerbrokers of the day. Her skills at the art of persuasion led to her being used as a high powered diplomat, brokering peace deals and intervening in the cases of political prisoners to offer succour and support. Of course, the values of her age, and those who wrote about her, are not the values of our own, and there are bits of her life and character which sit uneasily in the modern context, but I think she remains in so many ways not just an example of how powerful women’s ministry can be, but of how all disciples are called to deep prayer and passionate involvement in the world and the issues of the day. It has been good to see how Mark has settled into the family of St Asaph – together with Jill and Grace, who are both enjoying themselves in addition, I understand. Mark’s programme is pretty full, and the three strands (The Hearth, Spirituality and Young People’s work) seem to be operating well, although perhaps we haven’t filled all the places available from each deanery/mission area in some of the threads as we might have done. My own feeling is that Mark is bringing a great deal to our life, and offering us perceptive encouragement. Our ministry ought to be lifegiving, both for the recipient and the minister, but Mark has been struck – as we know from his Chrism reflection – that sometimes we can appear burdened rather than free, less ready to be creative. Indeed, Mark’s thematic programmes have been helping both clergy and lay to think about their priorities, and discern again the exciting adventure that faith can be. Do make contact if you’d like to drop in, or explore ideas together. Mark and his family live in Llangollen, and would be pleased to see you. You can always email him directly as well at yaconelli@msn.com. 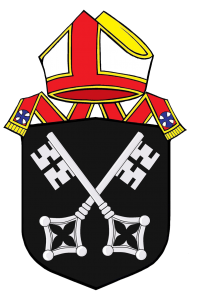 This matter continues to stir up great differences of opinion among Christians, and the recent Pastoral Letter seems to have drawn fire from both sides, with the bishops being named as “rank hypocrites” from the right wing, and accused of “homophobic doubletalk” from the left, including by members of Governing Body in this diocese. I can’t lie to you and say that these barbs do not hurt. One of the things that I did not look forward to when I was called to become your bishop was the fact that bishops have to nail their colours to the mast, and that means dividing opinion sometimes. Within this diocese, I have always wanted everyone to be able to speak “the truth in love” as they apprehend it, and to acknowledge that, whatever our opinions, we are all trying to be faithful disciples of Christ in this matter and others, so that there is a measure of goodwill, and mutual respect. However, we also recognize the sharp divisions of the Church on these issues, and are committed to working by consensus, and in conformity with the constitutional processes of the Church in Wales. From this position, I can recognize that both sides of the debate will be unhappy with where we get to, but I utterly reject the accusation that we are being hypocritical, homophobic or talking with a double tongue. We have intentionally been open and honest ourselves about where we as your bishops stand, and where the Church in Wales finds itself. Whilst the Church grapples with all of the issues surrounding the LGBT community, I am asking Sarah Hildreth Osborn to form a Chaplaincy to provide a ‘safe space’ for LGBT people to explore their spirituality whilst being affirmed for who they are, created in the image of God. This ‘safe space’ would hopefully be a space where people can learn and grow together, share stories, find healing and be encouraged in their journey of faith. The Church in Wales as a whole may not be able to say a whole hearted ‘yes’ to LGBT people at the moment, but I believe that this is a step in the right direction in terms of being welcoming and loving to people who have, for too long, found themselves on the edge of the Church, often feeling hurt and rejected. Because this is a deeply divisive issue, none will be compelled to act against their conscience, but I believe that we need to be a Church in which we can be honest in our faith on either side of this debate, as on other issues, but nevertheless hold on to the recognition that Christ is at work in each other. I am delighted to announce that Will Marshall will be joining us from the Diocese of Chester. Will shall be taking up the post in Pentre Broughton and Southsea, and joining the team in the emerging Alyn Mission Area. We will be welcoming him and his wife, Sami, when they join us in late July. We congratulate Godfrey Chigumira on his marriage in Zimbabwe just after Easter to Melisa Manyenga. We hope that Melisa will be able to join Godfrey in this country very soon, and wish them every happiness together. I am sorry to notify you that Mary Evans has offered me her resignation. Mary’s circumstances have recently changed, and she is stepping back from public ministry in order to tackle personal issues. I am also sorry to record the death of Gwyn Lloyd Jones, a former priest of this diocese, and a faithful servant of God. We give thanks for his ministry, and remember his family in our prayers. Elaine Atack’s father, Robert Conway Williams, passed away earlier this month, and John Geary’s mother, Patricia, has also died. We extend our condolences to both these families. 7th May Friends of the Cathedral Eucharist for St Asaph’s Day, 1100hr, when the Preacher will be the Archdeacon of Montgomery, followed by lunch & AGM, at the Cathedral. 8th May Confirmation, in the Cathedral, 1100hr. As it is Vocations Sunday, the Director of Ministry will be preaching. 15th May Licensing of new Evangelists, 1500hr, at St. Mark’s Church, Caia Park. Cass Meurig and Jennie Willson will join Rocky Bateman and Mike Vellacott in being commissioned in this lay ministry. 25th June Petertide Ordination, 1000hr in the Cathedral. 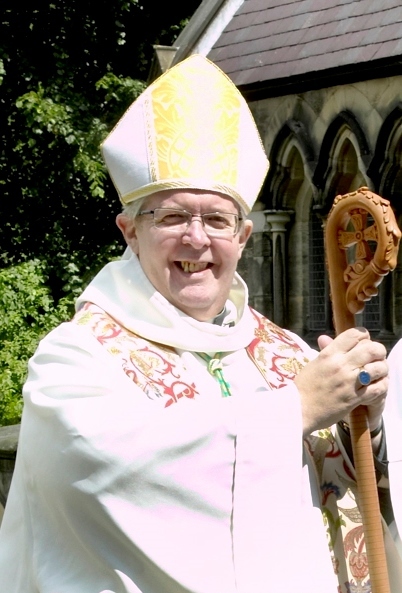 The retreat conductor and preacher will be Bishop Jack Nicholls, former Bishop of Sheffield. All clergy are encouraged to be present if at all possible. 26th June Dee Valley Deanery Confirmation, St Mary’s Church, Ruabon, 1500hr. 28th July Induction of Will Marshall as Vicar of Pentre Broughton and Southsea, 1900hr in St. Paul’s Church, Pentre Broughton. On Sunday, 19 June, I am inviting those who will be celebrating a significant ordination anniversary during 2016 to join me for a special celebratory Eucharist at the Cathedral at 1100hr – anniversaries such as 25 years and the ‘0’ or ‘5’ anniversaries. If you have a special anniversary this year that you would like to celebrate with us on June 19th then please contact my office at Esgobty by 15 May. With significant elections and votes coming up, I do hope that you’ll encourage your congregations to play their part, even as I’m sure that you will not use the pulpit to advance personal political choices. Catherine may not have been quite so coy, although I’m sure that she would have called us all to engagement, and a commitment to engage in the political sphere.